Companies offer individualized books of life, in a language no one can read. Does that DNA typo mean you'll get cancer, or just that you happen to be you? All three companies got letters from the Food and Drug Administration in early November suggesting they didn’t have the proper clearance to sell medical tests to consumers. It’s the latest sign that regulators are concerned about how companies market DNA tests for health insights, sometimes bypassing doctors entirely. There’s good reason for that worry: For most people, the genetic analysis available today doesn’t provide much meaningful health information at all. DNA tests can reliably establish family ties, like paternity tests, or reveal a person’s ethnic heritage. They can also tell whether people are at risk for certain rare diseases like cystic fibrosis that are directly linked to genetic mutations, or for passing the risk on to their children. But when it comes to information relevant to people’s health, especially about common conditions like heart disease or diabetes, the value of genetics becomes much murkier. Companies see a gold mine in turning genetic data into information people can use to stay healthy or battle illness. A few years ago, Booz Allen Hamilton estimated that there were nearly 3,000 tests available; market researcher Technavio says the industry is growing by close to 10 percent a year. Many of these tests are available only through health care providers. The FDA has cracked down on testing companies marketing straight to the public before. 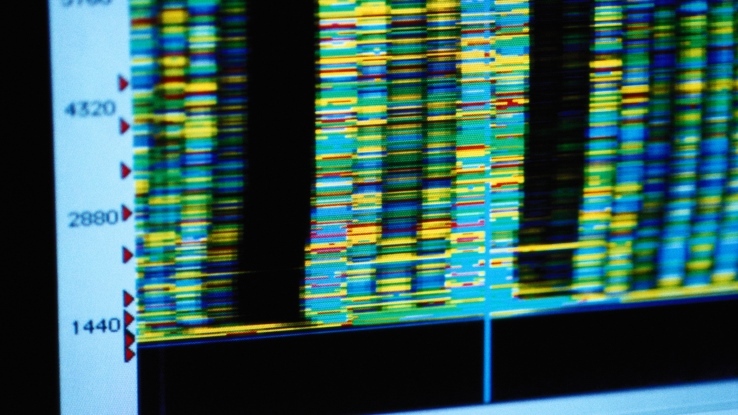 In late 2013, it ordered 23andMe to stop selling its personal genome analysis. This past February, the agency approved 23andMe’s test for a limited use, to detect whether people carried the gene for Bloom syndrome, a rare genetic disorder. The company has since added other approved uses to determine whether people carry mutations that could be passed down to children. One of the risks of making genetic tests available directly to consumers is that people may confuse diseases caused by complex risk factors with those caused by a single genetic abnormality. While a single gene mutation can cause cystic fibrosis, “for things like cardiovascular disease that’s just not true,” said Michael Christman, chief executive of the Coriell Institute, a Camden, N.J., research center focused on genetic medicine. Unlike some rare hereditary conditions, many pieces of a person’s DNA may influence his or her risk for heart disease, cancer, or diabetes, and they’re not all well understood. And genetics are only one risk factor, along with environmental exposures and lifestyle, that help determine whether someone will get a disease. In an ideal world, genetic tests would go through physicians or other experts capable of interpreting results, Christman said. “People joke, there’s the $1,000 genome followed by the $1 million interpretation,” he said. “The interpretation is complicated, and it needs to be done very well. Christman said the greatest potential for genetic medicine right now is using DNA profiles to determine how people might react to different drugs or doses, a field called pharmacogenomics. More than 100 drugs have information on their labels about how people with certain genetic markers may respond differently.